A smart motion alarm that gives you peace of mind. Limited manufacturing run this summer – make sure to get your BeachBug by signing up to the alert. 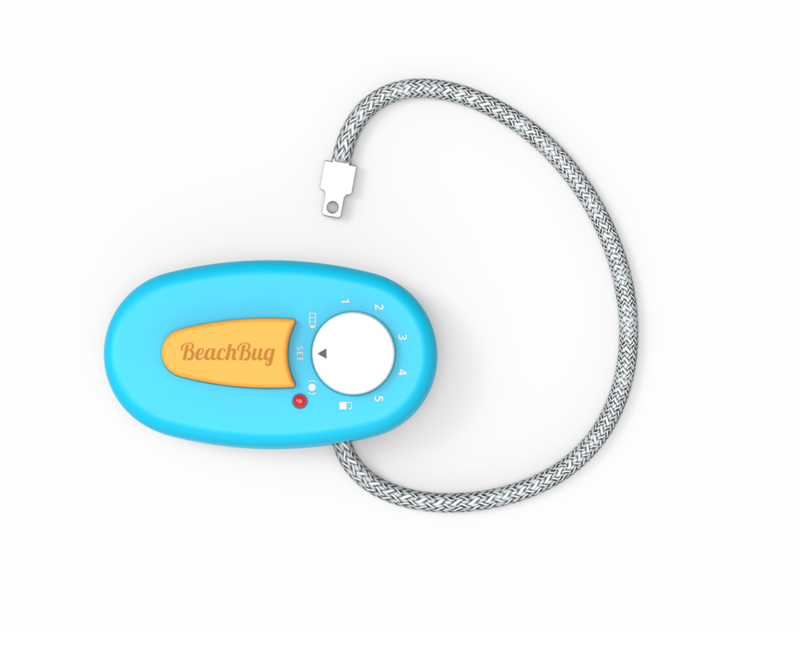 By using the built in microprocessor to analyse information about its movements, the BeachBug is smart about when to activate the alarm. This means that a slight nudge of the bag won’t set off the alarm, while someone walking away with it will. When the alarm is triggered a high decibel siren will sound. The sound is impossible to ignore and is certain to attract the attention of everyone in the vicinity. The anti-theft bag that comes with the BeachBug is a way to offer an extra level of protection. By putting your valuables inside and then using the BeachBug to lock it, the job becomes that much harder for thieves. Being made out of shock proof ABS plastic and aluminium the BeachBug is able to take a serious beating before it stops working. The nylon covered steel wire of the BeachBug is easy to attach to any bag in a matter of seconds. Once the device is attached and locked it would take a huge effort for it to be removed by force. The built in battery which is reachable through USB, saves you the hassle of having to buy new batteries all the time. It also allows for a design without any ugly battery hatches. When you go to the beach you want to relax and enjoy yourself, letting the worries of your life be swept away by the warm breeze. Unfortunately complete relaxation is seldom possible as we always need to stay alert of people who might take our things while we are napping or out for a swim. 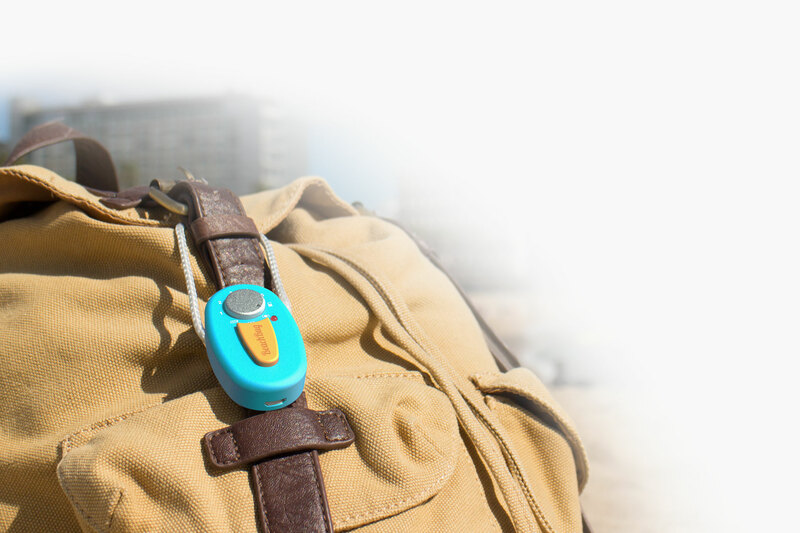 The BeachBug has the sole purpose of giving you the peace of mind you want at the beach by keeping your belongings safe. You start by locking the BeachBug to your bag using the nylon covered steel wire. 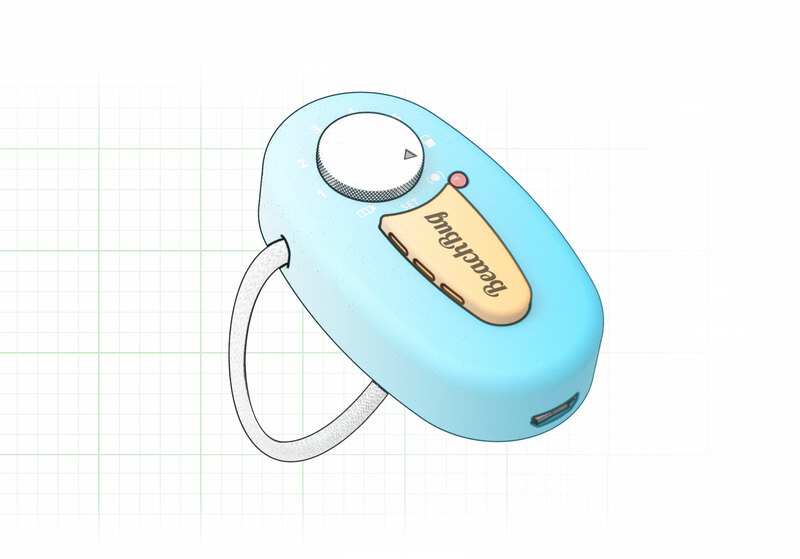 Once it is attached you activate the alarm and in 10 seconds the bug will enter armed mode. The next time someone moves the bag they will have 5 seconds to enter the personal code before the 100 dB siren is activated. The loudness of the siren can’t be ignored and is certain to attract the attention of everyone in the vicinity. 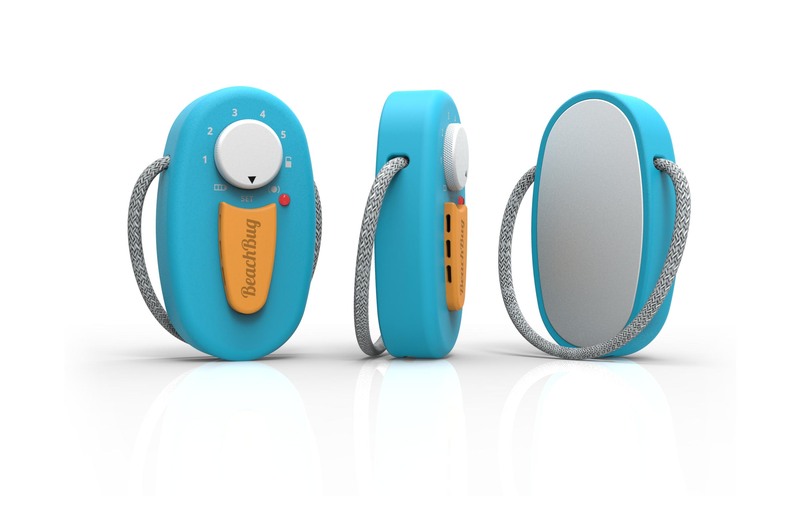 For even higher security you can lock your valuables inside the anti-theft bag that comes with the BeachBug. Doing this means that the thief will not only trigger the alarm by moving the bag, but he will also not be able to extract any belongings from it. 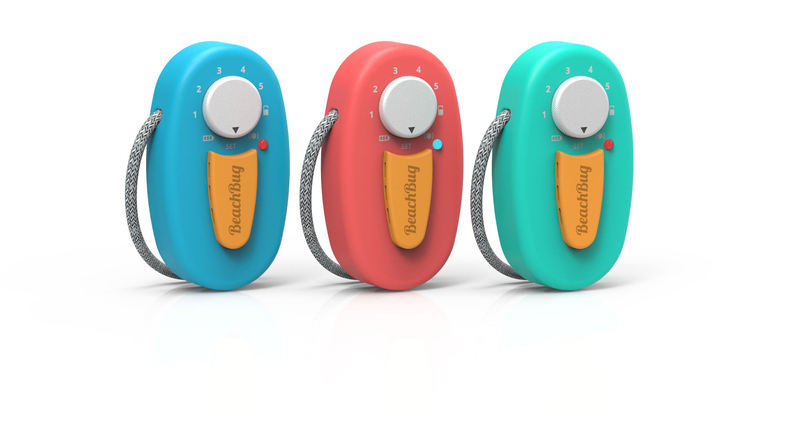 While being colourful and cheery in its appearance, every single element of the BeachBug has been made with one goal in mind – keeping your things safe. The smart sensing technology, high decibel siren and durable ABS casing all work together to make sure that this mission is fulfilled. To allow for seamless activation and de-activation of the alarm, all interaction is done through the dial which also doubles as a button. The dial simplifies the design, making the device sturdier and less cluttered as a result. Which Colour Speaks to You? Due to demand exceeding manufacturing capacity only the very first to pre-order can be guaranteed to receive their product this summer. More information about release date and price is coming soon. Signup to the alert and be first in line once the pre-orders open.